Napali July 2014 - 102 by Todd Wiggins is licensed under CC BY-NC-ND 2.0. Image may have been resized or cropped from original. Locals in Hawaii live very simple lives. People don’t own “toys” like recreational vehicles or ATVs. No one has a boat, unless they are a fisherman for a living. It’s things like this that Hawaii residents do to afford the high cost of living. People have very simple lifestyles with minimal disposable income and a flexible lifestyle. For example, instead of opting to purchase or rent jet skis, people will enjoy the beach with a body board or just as-is, no toys needed! People also reduce their consumption of “aesthetic” goods such as extravagant clothes, shoes and such. Locals have very simple outerwear and many local Hawaiian outfitters don’t feature flamboyant or flashy designs. Neutral colors are fashionable for ladies and aloha shirts are in style for men. Local homeowners also opt for very small properties and typically single story homes. People choose simple lifestyles here in the islands. Enjoy the simple things in life, like rainbows. Traveling to and from the islands can be expensive for a small family. Hence, locals minimize their travel off the island to afford this high cost. Plane tickets for a small family of four to get to a mainland city can cost up to $6000, and that doesn’t include the trip’s expenses itself. For example, if you want to take your family to Disneyland in southern California for a week, you’re looking at a $15000 trip after you account for food, activities, theme park tickets, airfare, etc. This can be a hefty expense for a household who already has the burden of Hawaii’s cost of living, regardless of taking annual vacations. It’s best to minimize your travel off the islands in order to afford the high cost of living. You’ll find yourself doing more “staycations” on the island and enjoying what paradise has to offer instead of traveling out of state. If you’re not a fan of traveling as it is, this may be a great lifestyle for you. Having family members and relatives here can help you afford the cost of living. For example, there are many multi-family units here on the island in which families live with in-laws or grandparents on the same property. Some even opt for accessory dwellings that are meant for their in-laws to live on property with them. These connections help small families afford the high cost of living. Relatives can also offset the cost of childcare for families raising small children. This can be helpful for spouses and their keiki because day care expenses can be costly for a family of 4. AfterSchool Care programs are always an option, but those are at the family’s expense. Family is always an option to fall back on for some in difficult or stressful times. It’s comforting to have another relative nearby. Not to mention, knowing more people on the island can help in job searches or finding work. This can be especially helpful for those on the job market. I’m so fortunate that my husband has been working for Southwest Airlines for 23 years. We are making plans to transfer to Hawaii. Neither of us have ever been and visiting soon. A quick check on skyscanner showed RT air from Kona to LAX for under $2,200 total for a family of four with 2 children age 15 and under. Southwest’s recent entry to the Hawaiian market is having an effect on airfare, for sure. I also notice most people work 2 jobs, shop strategically at Costco & Walmart, and don’t go out to eat in restaurants very much. I think Peter rocks! Thank you for your informative and optimistic blog. I will be in Honolulu in two years and can’t wait to live in paradise! Sounds like people on welfare. Little chance in climbing out. We are 6 years away from moving to Maui (once my daughter graduates high school). I read your blog daily and it keep our hearts and minds focused on our dream of moving. I can’t wait! Thank you Stephanie! Hope this helps! Plane tickets to California are not 1500 apiece. 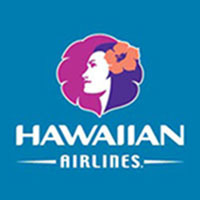 I have flown Hawaiian air to each of the four main islands from SFO and my tickets round-trip were never more than 650 a person. Though we did see R/T airfare quoted from Hawaii to SFO at $1500 at one time, you’re right in that it’s usually much lower than that. We updated the page to more generally reflect the reality of “up to …” claim. This is the kind of lifestyle I grew up in back in Trinidad and Tobago.. I would fit right in… those suggestions fall right in my backyard…I would enjoy living in Hawaii immensely….I deep freeze I’m living in is killing me…. Deep freezing is not fun!